Diego de Riaño is a great luxury apartment placed in Prado de San Sebastián area, at Diego de Riaño street, one of the most exclusives and quoted places in the city. It’s a few metres from Plaza ESpaña and just 10 minutes walking from The Cathedral and Alcázar. The tram stop is just in front of the apartment so in less than 5 minutes you could arrive to the Cathedral by this way of transport. 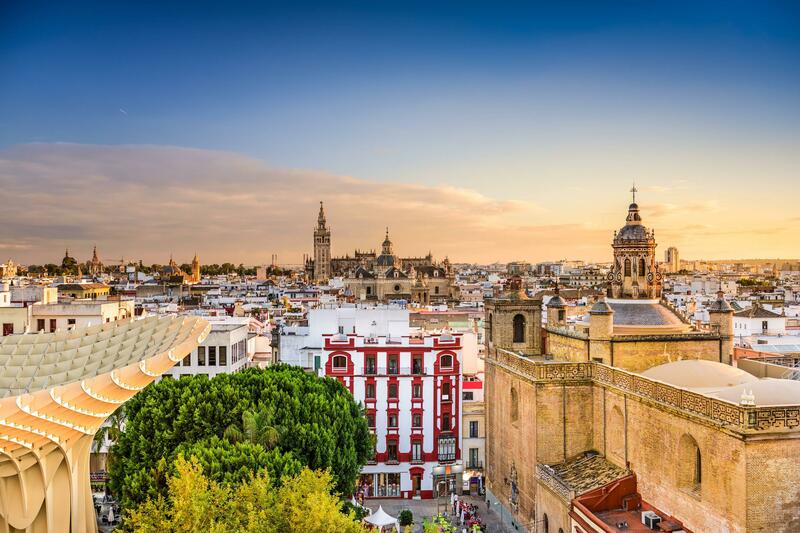 There are top quality restaurants in the surroundings where you could delight in the best gastronomy of the city, there are also small bars and a supermarket just opposite to it, as well as garden zones and María Luisa Park, the largest and most famous in Seville. The apartment is completely quiet and silent. The property is composed of five large bedrooms, two of them with 1.05m x 2m beds, the other three with individual ones of 90cm x 2m. It also disposes of four complete bathrooms, a great living room with dinning area and a wide living area. The kitchen ir more than 30 sqm and its fully equipped with amenities and first quality electrical appliances. The apartment is completely exterior and has a lot of sunlight, ceilings are high and it’s was built with top quality building materials. Diego de Riaño is undoubtely the perfect property for those who wants to enjoy a luxuty vacation in Seville.